CLT: Cross Laminated Timbers, also called Mass Timbers. A structural member made up of three to seven layers or more at 90 degrees to each other from strength. GLT: Glued Laminated Timbers, also called Glulam. Wood whose grains are aligned and bonded under pressure. PSL: Parallel Strand Lumber, also known as Parallam. Long veneer strands of wood fibres laid parallel and bonded with glue. Commonly used for long-span beams, heavily loaded columns, and beam and header applications where high bending strength is needed. LSL: Laminated Strand Lumber is made from the shreds of fast-growing, low-value logs (aspen, birch and poplar). It’s been used mainly in smaller dimension applications such as beams, lintels, base/top plates and rim boards. LVL: Laminated Veneer Lumber is similar to plywood except that the grain is usually only oriented in the longitudinal direction. Engineered to precise design values and with a very high strength-to-weight ratio, LVL columns, beams and lintels often replace dimension lumber or glulam as columns, beams and headers. I-Joists: Invented in 1969, the engineered wood version of the lumber joist can carry more weight for its size. Made from laminated veneer lumber, plywood or strand board, the pieces resist bowing, twisting, splitting and shrinking and help eliminate squeaks. Unbeknownst to the average urban dweller, there are some changes happening to their city skyline. The architectural industry is undergoing a cultural shift that’s reintroducing the use of wood in the construction of skyscrapers in new and innovative ways. Building with wood isn’t a new concept. Up until the late 19th century, wood was the preferred material. However, a series of catastrophic fires in a variety of big American cities meant architects and engineers looked elsewhere. Steel and concrete became the obvious choice for their strength, longevity, and their ability to contort to different shapes – contractors weren’t limited by a certain shape or size. This meant buildings became really big and really wide. However, over the last two decades, engineers, scientists, and architects have begun to explore the many benefits of building with wood. New innovations in the mass timber industry have meant multi-storey buildings made almost entirely from wood are sprouting up everywhere from B.C., Canada to London, U.K. Drawings for the Wood Innovation & Design Centre in Prince George, B.C. There’s a long list of benefits to building with wood, of the many: it’s cheaper, better for the environment, easier to assemble, and more fire resistant, believe it or not. According to Chad Oliver, a forest ecologist at Yale University, by replacing steel or concrete with wood, “the building industry could curb up to 31% of global carbon emissions.” While steel and concrete generate tons of carbon dioxide (Co2) during production, wood-framed buildings store it. Eventually, this would help pull C02 from the earth’s atmosphere. On top of that, the mass timber construction process generates a smaller carbon footprint than the alternative. Yes, logging, refining, and shipping emits fossil fuels, but the pollution caused by turning a lump of iron into a steel beam is far worse than turning a tree into a plank of wood. And while it may seem contradictory, wood actually resists fire better than steel and concrete. While the latter melts and contorts in the heat, wood simply chars on the outside with little damage to the core. That’s why trees stay standing even in the wreckage of a forest fire. When referring to mass timber, we aren’t talking about your standard two-by-four from Home Depot. Unlike the wood used to build apartment and office buildings centuries ago, this material is highly engineered and manufactured to exact dimensions. There are a variety of different types of composite wood, differing based on lumber type, grain, and the way in which the panels are assembled and bound together. Like any material used in the construction of large structures, its integrity is of utmost importance. This is where machine vision comes into play. While machine vision has been used to guide lumber cutting for quite some time, the use of machine vision to inspect wood is a relatively new concept. The inspection process primarily consists of calculating spatial dimension measurements such as width, height, length and camber (straightness). Further, the entire process from design to implementation has been cut down in half thanks to imaging and advancements in automation. Architects can now design mock-ups using 3D AutoCAD software that generates dimensions and sends them to a robotic wood router that shapes panels with millimeter precision – saving time and money. Sawmills spend both time and resources to optimize each piece of wood that you or I might be relying on for our next building project, whether that’s a new deck, fence or play structure. For example, planks need to be measured, cut precisely, grouped by colour, and accurately graded in appearance from 0-3 based on a complex series of rules. The rules take into account such factors as the size of knots, grub holes, and cracks. 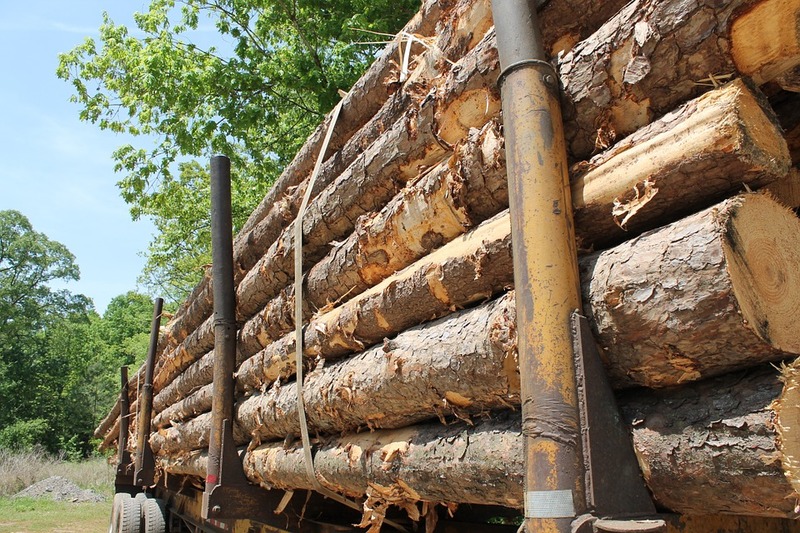 The grading process can be a drain on both human and financial resources, and many of today’s sawmills might just be missing out on opportunities for optimizing their throughput and profitability. Fortunately, this situation has gotten a little less common with the availability of innovations such as COMACT’s wood inspection system. The company’s custom-built equipment gives sawmills the ability to perform 360º inspections of 24-foot planks at speeds of up to 4-5 per second—that’s 300 per minute—an order of magnitude beyond what any human could attain, allowing significant increases in throughput. Further, it identifies imperfections to within 10/10,000 of an inch or 10 mils and, it does so with accuracy rates in the high 90s using COMACT’s proprietary software algorithms. A key part of COMACT’s wood inspection system are the line scan cameras their industry partner Teledyne DALSA has been providing for more than 15 years. The images they provide are of outstanding quality and reduce the computational power needed for software which processes the images and inspects them to find flaws. 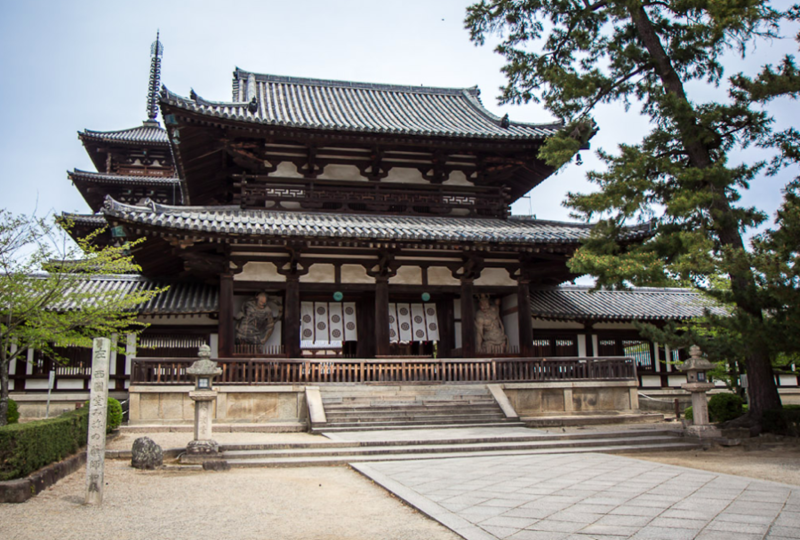 The first traces of wood as a building material came in 1056 when Buddhist monks built a 32-metre pagoda in Ikaruga, Japan. This structure remains sturdy 14 centuries later. As it stands today, Austria momentarily takes the cake for the tallest mass timber building with its 24-storey HoHo building in Vienna – still in the construction phase. Canada had its moment in September 2016, when Tallwood House, a student residence at the University of British Columbia, reached new heights at 18-stories high. 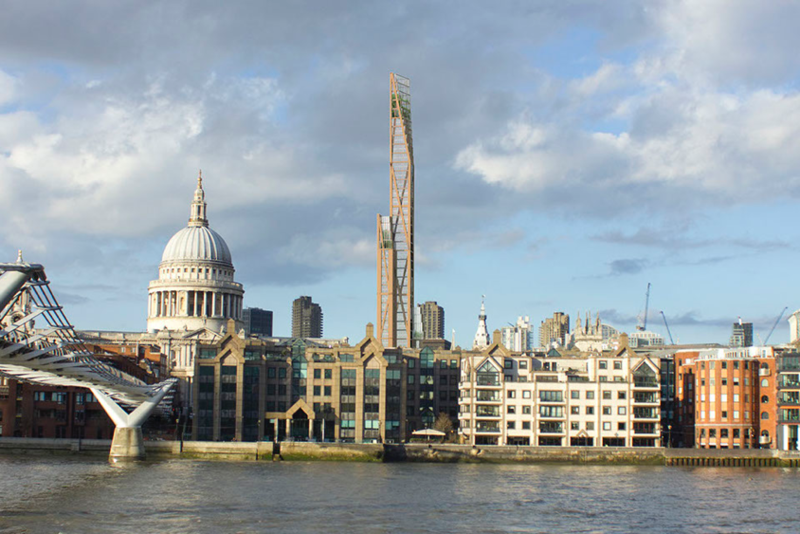 London, England is poised to get its first wooden skyscraper in the upcoming years thanks to PLP Architecture. If approved by the mayor and other local authorities, Oakwood Timber Tower will stand 80-stories high. It will be London’s second-tallest building and the tallest wooden structure in the world – at least for the time being. Designs for an equally tall tower are being mulled over by researchers, architects, and engineers in Chicago. Proposed design for Oakwood Timber Tower, London U.K. 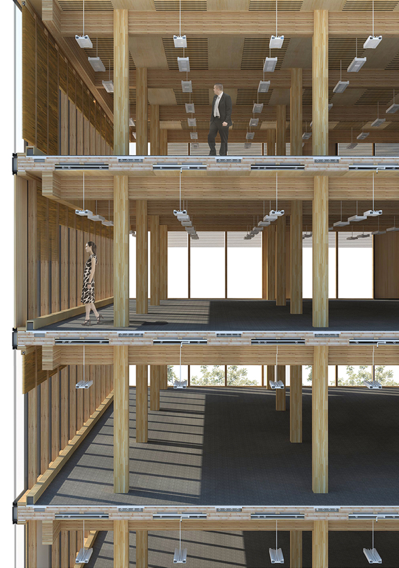 It looks as though mass timber may soon become the norm in the planning and executing of skyscrapers. Architects and engineers in major cities across the globe are making moves to steer clients away from steel and concrete and toward more sophisticated timber options. As more benefits of using wood are unearthed and with more successes than failures, urban dwellers should prepare for a surge of timber in their once concrete jungle.